Goodyear, the acknowledged leader in the tire industry again demonstrated that it is not one to sit on its existing laurels. With the introduction of its Assurance TripleMax Tires with HYDROGRIP Technology, Goodyear continues the company's quest to provide maximum road safety advantage to consumers. This time, it is through tires that can make drivers confident and unafraid on wet roads in the same manner that ducks are in rain. The Goodyear Assurance TripleMax Tires with HYDROGRIP Technology is setting a new standard in tire technology by allowing drivers to reduce braking distances by more than 2 meters on wet roads in comparison with the the other tires being offered in the market today. In the matter of road safety, that more than 2 meters can spell the difference between life and death. 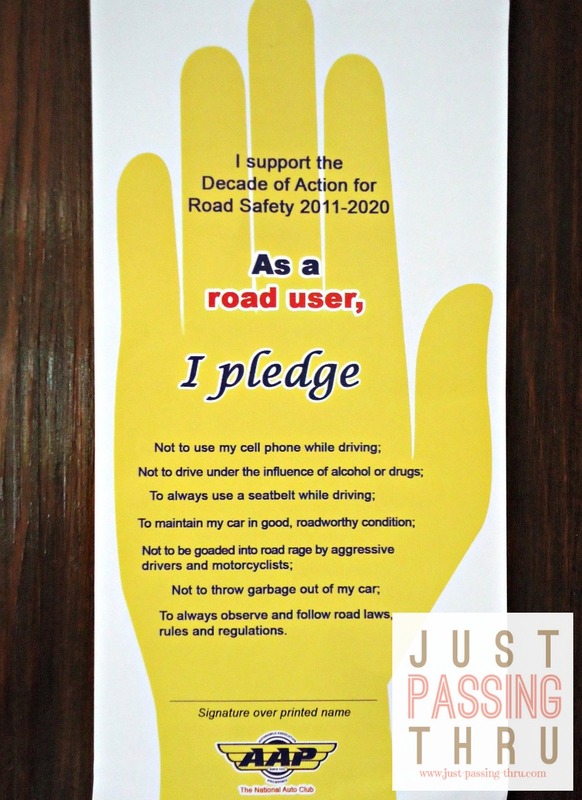 For conscientious drivers, ensuring safety will always be in consideration of his or her own safety and passengers as well as the people who will be encountered on the road. This newly-introduced tire offers maximum wet grip, maximum control, and maximum braking ability. Aside from the advantage of increased road grip and shortened braking distances, consumers are also assured of the high level of tire durability and increased fuel savings. It is available in 14" to 17" rim diameters and in multiple sizes, suitable for mid-sized passenger vehicles. But of course, no tire can ever be good enough if drivers do not observe proper road behavior and sensible road practices especially during the rainy season. 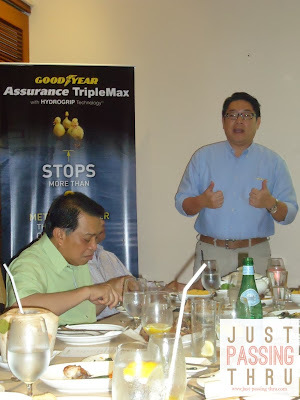 Goodyear has partnered with Automobile Association Philippines(formerly Philippine Motor Association) in its Road Safety Advocacy Program. We were invited together with other writers/bloggers to an intimate media round table discussion held in Aracama Filipino Cuisine last August 14 in BGC. The topic centered on road safety for the family this rainy season. Ron Castro, Managing Director of Goodyear, together with the representatives of AAP, presented to us what they believe are the most important driving considerations on wet road conditions. 1. Always check tires before hitting the road with special attention to proper inflation and tread depth to avoid aquaplaning. 2. Slow down to avoid skidding. Light rain on a heavily traveled road is extremely dangerous. 3. Recover from a skid by applying firm and steady pressure on the brakes while steering the car in the skid's direction. Brakes of cars with ABS should not be pumped. 4. Keep proper distance from other cars to provide allowance for errors and emergencies that may arise from poor weather conditions. 5. Turn headlights on not only to see the road but also to help other drivers see you. 6. Make sure that all main controls including steering, clutch, brake, and accelerator are in excellent working condition. 7. Find a suitable area wherein to stop when the rain gets too heavy. The headlights and hazard lights should be turned on when stopping on the side of the road to warn other drivers. 8. Dry brakes after driving through standing water that is deep enough to get the brake shoes wet. 9. Rest in between long drives. The Goodyear Tire and Rubber Company was established in Akron, Ohio, USA in the year 1898 by Frank A. Seiberling. It first used its wingfoot trademark in 1901 as lifted from the winged foot of Mercury. Being the god of trade and commerce of ancient times, Mercury was deemed a fitting symbolism of swift messages of good tidings. Goodyear came to the Philippines in the year 1919 through a central warehouse facility for tires and other Goodyear products. Its manufacturing plant in Las Pinas was built in 1956 to produce tires, tubes, shoes, and other rubber items. 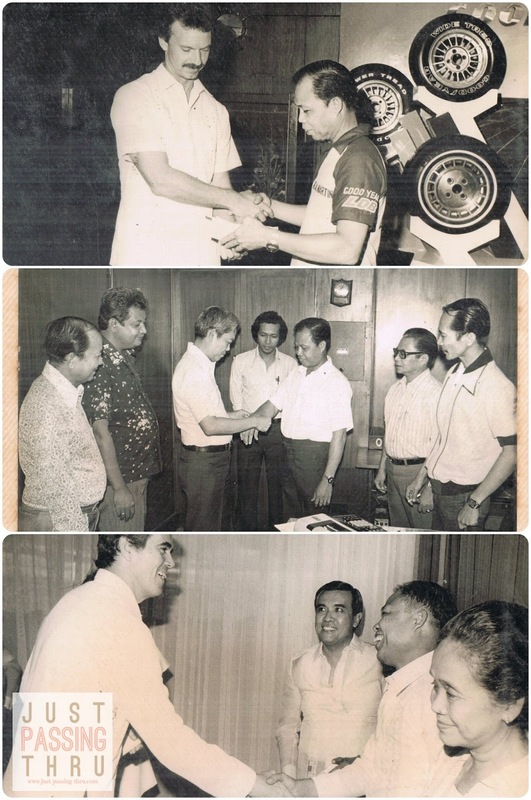 The first tire produced in the plant was presented to then President Ramon Magsaysay. 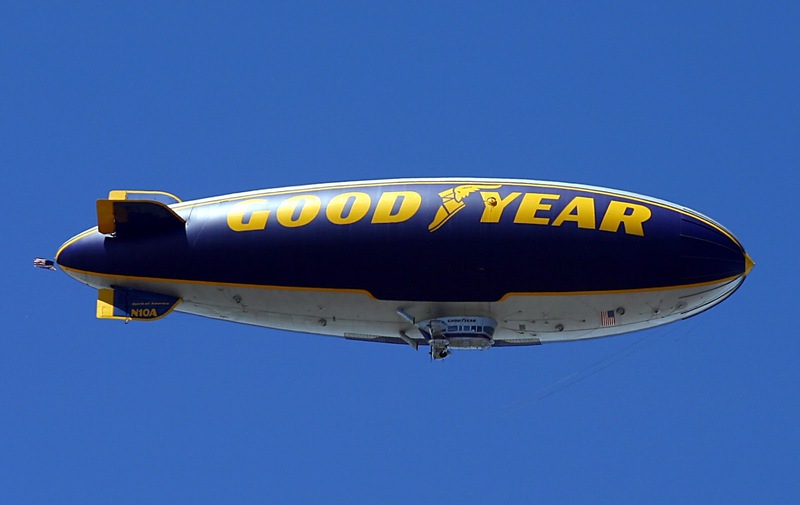 Goodyear established many other overseas subsidiaries over the years. However, the tire plant in Las Pinas was closed in 2009. In spite of this, Goodyear continues to maintain its leadership in the tire industry through its more than a hundred dealers nationwide. Goodyear is a brand that has become synonymous to quality tires. No other brand has come close to what it has achieved in terms of excellent products and recall power. It is almost impossible to think of tires without thinking of Goodyear as well. That said, Goodyear - the Company will never be just a brand for us especially with my husband's family. My father-in-law, Ricardo Martinez, spent the good years, if not the best of his life as a loyal employee of the company until he retired in 1997. 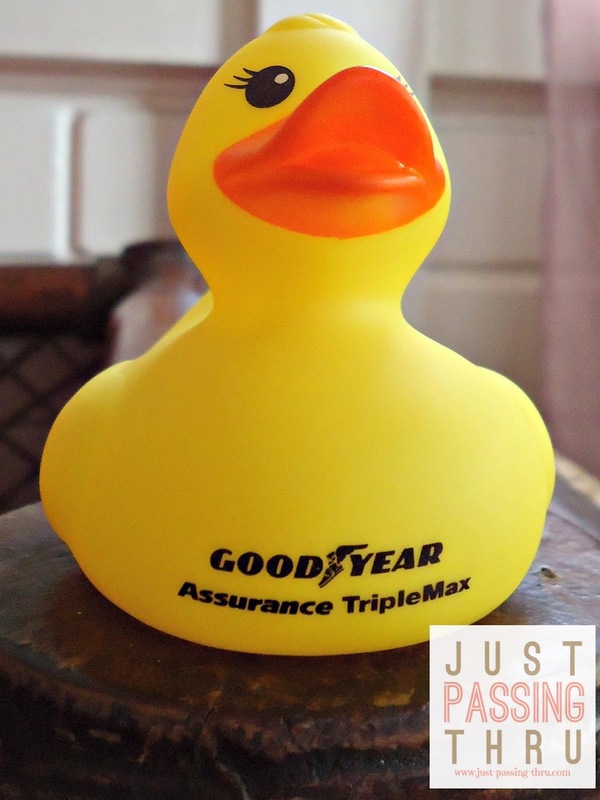 He has always been proud of his association with Goodyear because he said that it has taken cared of him and his family. He did not live to see the closure of the Las Pinas plant as he went on to the other life several years earlier in 2005. Still, I can still imagine him standing proud wherever he is, knowing that the company he worked for continues to attend to the road safety needs of consumers.